Well, for everyone who has entered the Microsoft Apportunity contest, the folks at Microsoft have smiled upon you. I have a couple of contest updates that you will like. If you haven't read about the contest before, you can read up here. The first update concerns those of you who use Azure in your programs. If you use Azure in the program that you publish in the Windows Phone marketplace, not only do you do you get your normal 1 entry, but you also get 1 EXTRA entry into the contest as well just for using Azure in your Windows Phone app. The second update concerns students and Computer Science professors. 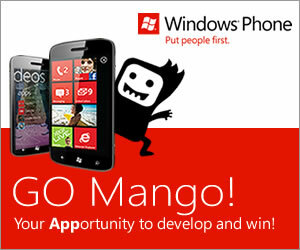 If a student publishes 3 programs to the Windows Phone marketplace, he or she gets a FREE phone. If you are a student and you don't have a device yet, this is your chance to get a device for free. If you are a student and you already have a device, this gives you an extra device that you can use for testing your programs out. Students: this is your chance to shine and make an impact on the mobile world. If you have a great idea, now is the time to really develop it and let the world know about it. Computer Science Professors: this is a great way for your students to develop that great program idea they have and get some real world experience from it. You could even integrate this contest into your classes by making it a class assignment or for extra credit. I would like to make it clear that this contest is open to anyone (age 18 or older), not just students. An important reminder that this contest runs from now until the end of the year, December 31, 2011. I wish everyone well in this contest. 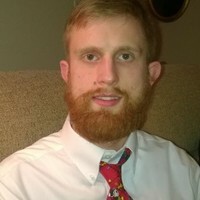 If you don't have the SDK already, you can download it at: http://bit.ly/GoMango. Students can get Visual Studio, needed for development, through Dreamspark. To help you stay tuned for further announcements, you can subscribe to my rss feed or follow me on twitter (username is @rctechgeek).